Shade is a must-have, especially in Thailand’s tropical climate that alternates between eternal sunshine and relentless rain. 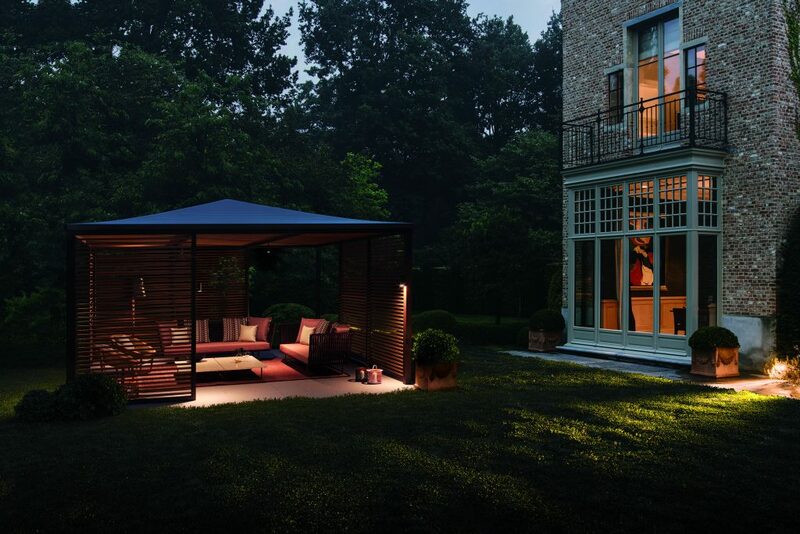 For that reason, PH1 Pavilion from Spanish furniture brand Kettal is a perfect choice to furnish your alfresco experience with style. 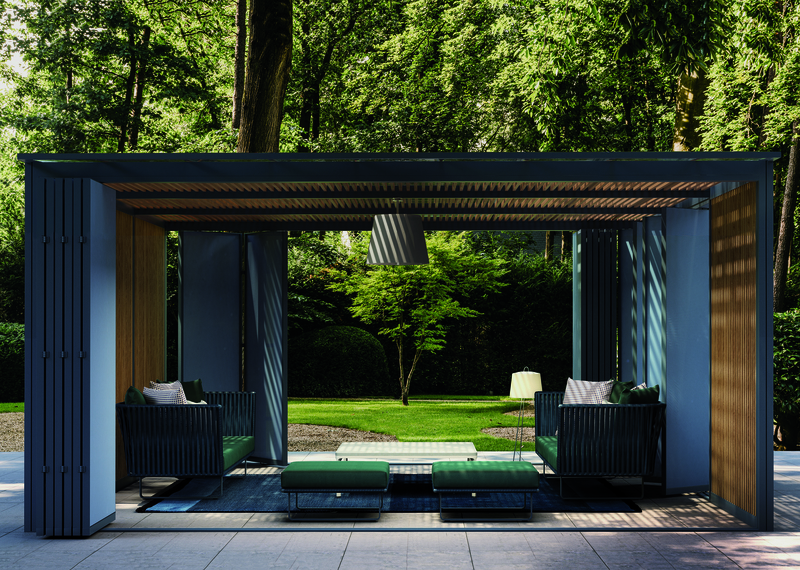 Designed by Kettal Studio, Pavilion is a collection of furniture with sheltering structure, ranging from canopied daybeds and sofas to independent structures with floorings, ceilings and curtains that you can customize at will to adjust the interior’s exposure to the outdoors. The new series of Pavilions, PH1, brings the system even closer to architecture, as the design team developed more tools for its integration in the architectural environment. The system is able to adapt to different uses and environments such as maritime, mountain or urban locales. The PH1 has minimal structure, not only for aesthetic reasons but also to create open spaces that flow freely into each other by means of light, transparency and lightness of structure. The PH1 provides a generous sheltered area that can accommodate many types of outdoor furniture and activities, including cooking. The PH1 adds a kitchen module to the system. The moveable panels can be closed completely to protect all the fittings from inclement weather, and opened completely only when required to use. The panels become work area for cooking. The connections to mains water and electricity can be fitted at the bottom or at the back (when it functions as a wall). Components can include ceramic hob, barbecue, fridge and a wine cabinet. It also includes storage for utensils. An optional auxiliary trolley, inspired by mid-century bar cart, serves as a support table when working in the kitchen but also for transporting and storing tableware and bottles.